This post is part of a virtual book tour organized by Goddess Fish Promotions. Laurie Palau will be awarding a FREE 30 minute phone consultation to help address specific organizing challenges to a randomly drawn winner via rafflecopter during the tour. Click on the tour banner to see the other stops on the tour. Today, Laurie is sharing five fun or interesting things about herself we might be surprised to discover! My life is pretty much an open book, so when I was asked to share five things you’d probably never guess about me, it forced me to stop and think. Sure, I could tell you that I’m afraid of heights, or that my favorite food is pizza, but that’s sort of boring. 1. I make really good Cuban rice & beans. Yes, I’m a white girl married to a Cuban/Puerto Rican, so early into our relationship I learned how to cook rice and beans. No Minute Rice here peeps, we’re talking Spanish rice and black beans, seasoned properly with Adobo, and Grandma’s homemade sofrito, and if I do say so myself, they are slammin’. 2. When I laugh really hard, I pee my pants. I probably should be more embarrassed about this, (I know my kids are! ), but here’s the deal- I birthed two kids, and regardless of how many Kegels I do, when my bestie and I get together and start laughing, I lose total control. You may as well bring out the Depends. 3. I’ve never had a cavity. Yeah, I know crazy, right? I suppose that it’s a combination of proper brushing, regular trips to the dentist, and good genetics. 4. My daughter is named after a superhero. So my husband was a major comic book reading geek when we met. He was determined to name our second child Logan (after Wolverine). Thankfully I liked the name and figured I could make it work whether we had a boy or girl. BTW, he still loves comics, but is much less of a geek than he was 20 years ago. 5. I have an amazing sense of direction. I don’t know if it’s because I pay attention, or have some sort of internal GPS, but I can figure out how to get most places without assistance. Moreover, I think it’s important to know multiple routes to get places (which drives my husband nuts! ), so I always have a plan B.
Hopefully this gives you some interesting insight into this HOT MESS! Most of us have too much stuff and not enough places to put it. Combine that with our hectic modern lives, and you’ve got a recipe for clutter catastrophe. Luckily, help is at hand. Hot Mess: A Practical Guide to Getting Organized can show you how to simplify your life—and get control of your stuff. 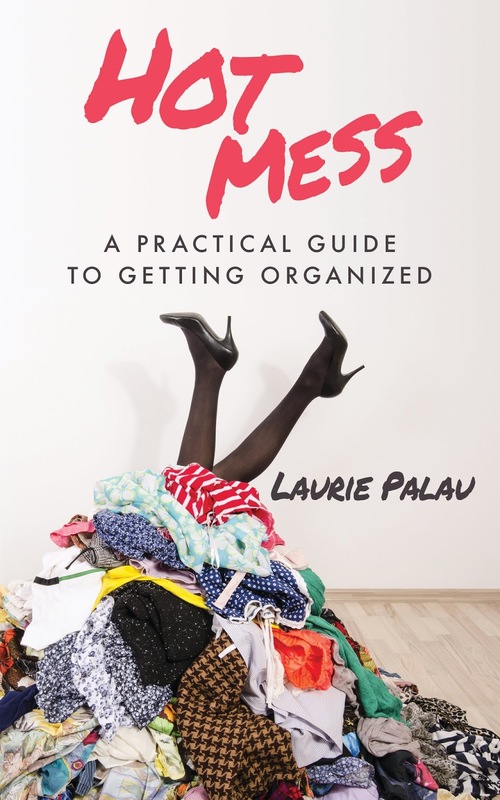 In this new guide to streamlining and organizing your belongings, your house, and your life, author and expert Laurie Palau gives you all the strategies you need to clear your clutter once and for all. This comprehensive book offers clever storage ideas and decorating tips, but more importantly, it shows you where your clutter comes from and how to change your approach. This makes it the definitive how-to for dropping all the dead weight that’s been keeping you stressed and anxious. Just follow the hacks, tips, and strategies Palau clearly outlines, and you’ll soon be sipping a vodka martini in your beautifully tidy living room. Whether you’re naturally neat or a total chaos magnet, this informative and amusing guide takes an approach to organizing that’s as unique as you are. Let this witty little handbook be your new secret weapon in the war on disorder! We’ve talked a lot about organizing your stuff, but how about finding time in your day for you? Calendar clutter, in my opinion, is the driving force behind so much of our daily stress, anxiety, and frustration. So many of us run on autopilot, especially when the kids are small, or when we are busy taking care of ailing parents or building a career. It’s easy to see how we can lose sight of making time for other things in our life that are important, like self-care. As a society, we have a difficult time knowing how to unplug. Life is filled with distractions, and unless you make a conscious effort to prioritize time for yourself, it will never happen. Maybe you want time to exercise, join a book club, volunteer, or take up a hobby, but figuring out the logistics may seem impossible. ...Only when I took a step back to look at what my goals were, and actually wrote down what I had been doing, was I able to see where I needed to change. Note the key phrase: “I needed to change.” I had to reclaim control over how I chose to spend my time. Laurie Palau is the founder of simply B organized, host of the weekly podcast, This ORGANIZED Life, and author of the book HOT MESS: A Practical Guide to Getting Organized available in paperback and kindle on amazon or Barnes & Noble. She is a go-to Organizing Expert whose advice has been featured in The New York Times Parenting Section, Family Circle, and Home + Table Magazine. Laurie can also be seen sharing tips on the CBS Philadelphia’s Morning Show & WFMZ in Allentown, PA. Whether speaking or working with clients Laurie is authentic, relatable, inspiring, and highly entertaining. 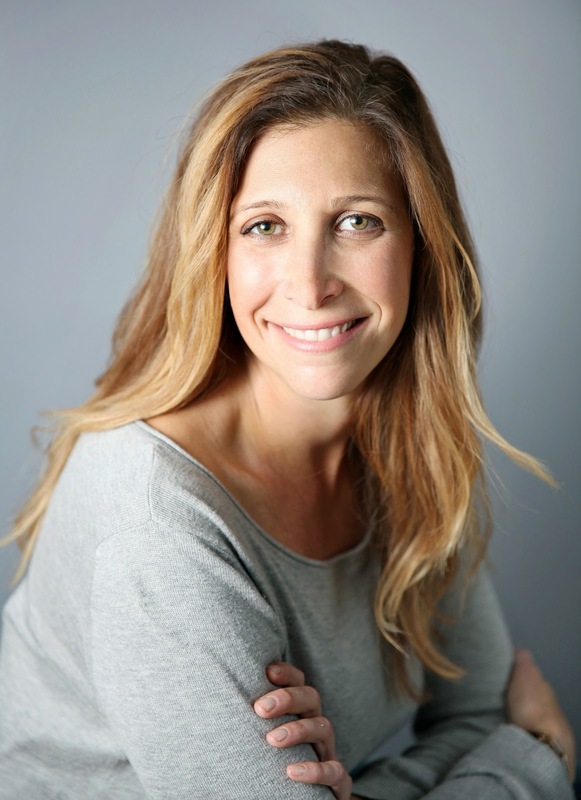 When not organizing the world, Laurie can be found at home in Bucks County, PA with her husband Josh, 2 girls (Zoe and Logan) and 2 dogs (Jeter and Oliver). She loves coffee and Tito’s Vodka (not together), and in her spare time she is actively involved with The St. Baldrick’s Foundation, which raises money for Pediatric Cancer Research. Visit http://www.simplyBorganized.com for a complete list of service offerings including free organizing checklists, links to her podcast, blog and social media.